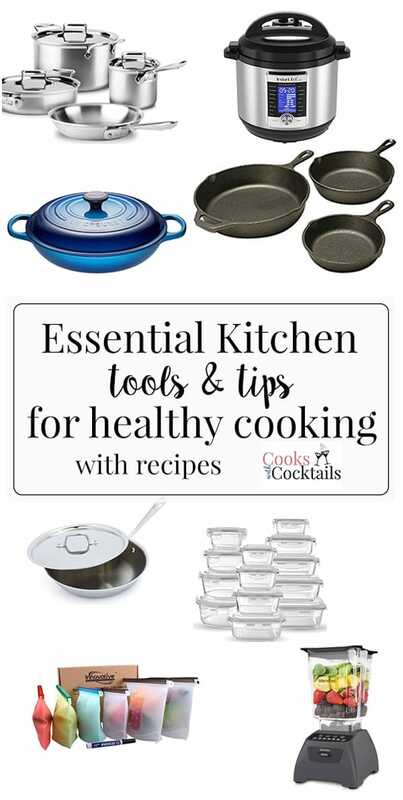 Kick your healthy eating plan into high gear with these four essential kitchen tools for healthy cooking. These are all tools (and recipes) that Debbie and I use regularly to help us keep our healthy eating goals on track! When you have the right tools, any job is easier! At the beginning of a New Year, most of us aspire to get healthier and more fit. While that might mean starting a new exercise plan or recommitting to an old one, our health goals will never truly be achieved if it doesn’t start with a healthy kitchen! Abs are made in the kitchen, as they say, and even if your goal isn’t to loose weight, committing to some healthy eating habits will make your body, and your mind too, very happy. The instant pot is a must have tool when you trying to incorporate healthy eating recipes into your life. 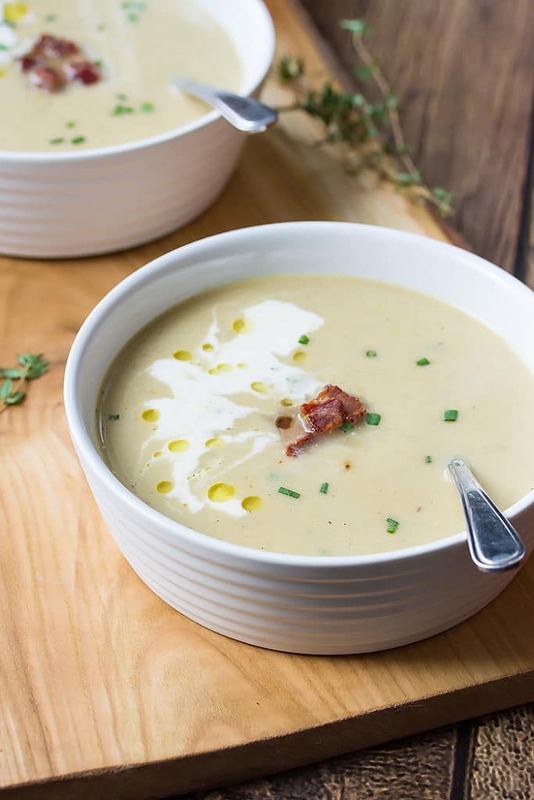 Healthy food can still be comfort food and that is where the instant pot shines! 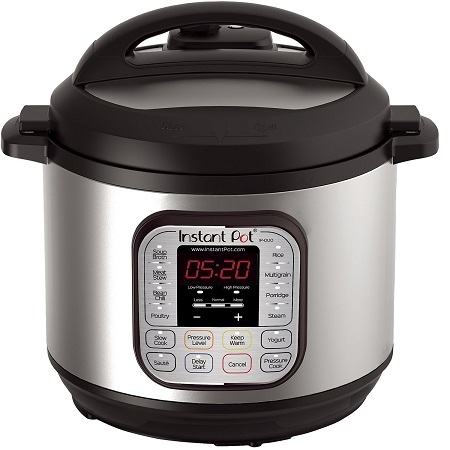 There are a WHOLE BUNCH of models to choose from when it comes to the instant pot. We highly recommend getting an 8 quart model over a 6 quart. Especially if you want to make bone broth, ribs, or bone in recipes. This is the model that we have and as far as I can tell, the cheapest price for it is on Amazon here. Or you can click on the picture. There is another model that’s got more bells and whistles. This is the one that we recommend if you have a new baby as it has a sterilizer function. It also has egg cooker and cake maker functions that the other one doesn’t have. Its also fabulous for the keto diet because of how it makes cooking meat dishes so easily! Mark Sissons even included a ton of Instant Pot recipes in his latest Keto Reset Cookbook. 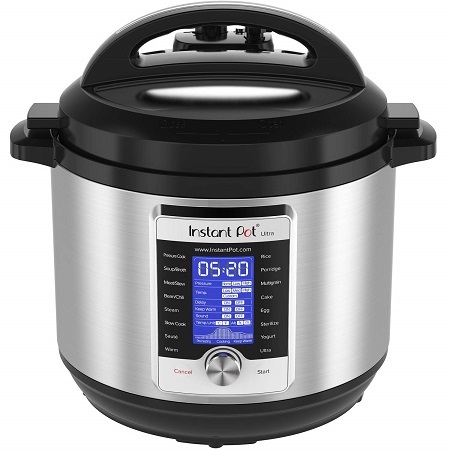 If you haven’t jumped aboard the instant pot train, what are you waiting for? ! I did resist for some time, but I finally got one when my girlfriend started raving about the amazing bone broth that the instant pot could make. In 4 hours! That’s what sold me. Debbie jumped aboard too and since then, we’ve discovered a few more things that we LOVE about the instant pot! It can cook perfect, fall apart tender ribs in 15 mins! You can now have ribs for a weeknight meal! Mind. Blown…! 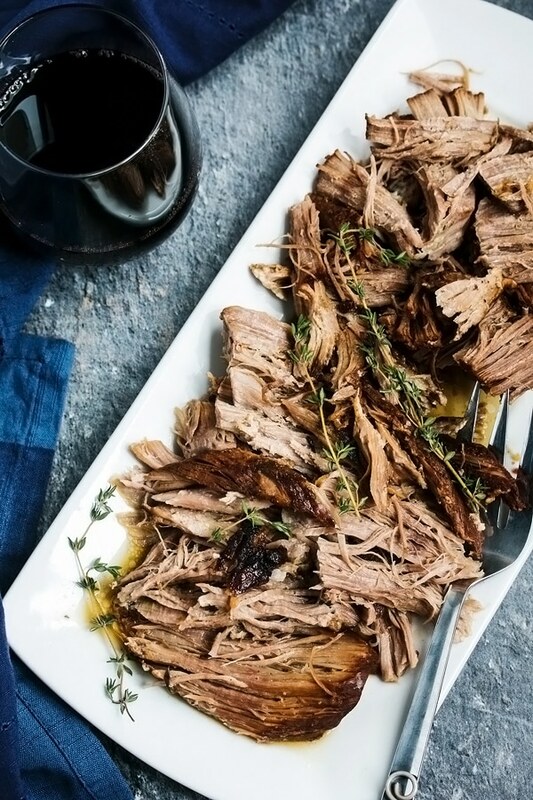 It cooks pot roast, short ribs, pulled pork and any kind of long, slow cooking beef or pork in less than an hour and its PERFECT! Never dry, tender and delicious. As I mentioned, gelatinous bone broth in 4 hours! 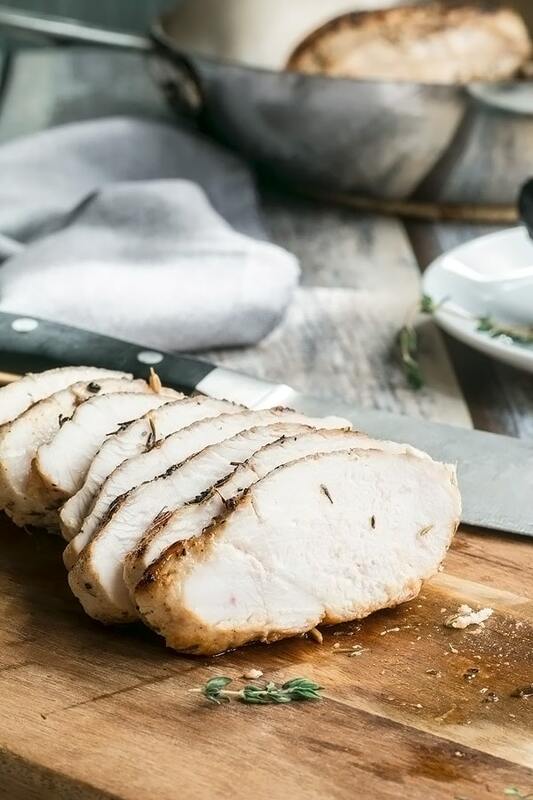 Tender and juicy (not dry) shredded chicken BREAST (yup, that’s right, breast) in 12 mins. You can do this from frozen too! These three instant pot recipes are staples in both our homes. We use the pulled pork to make carnitas rice bowls or tacos, pulled pork tacos, and for a treat, nachos! 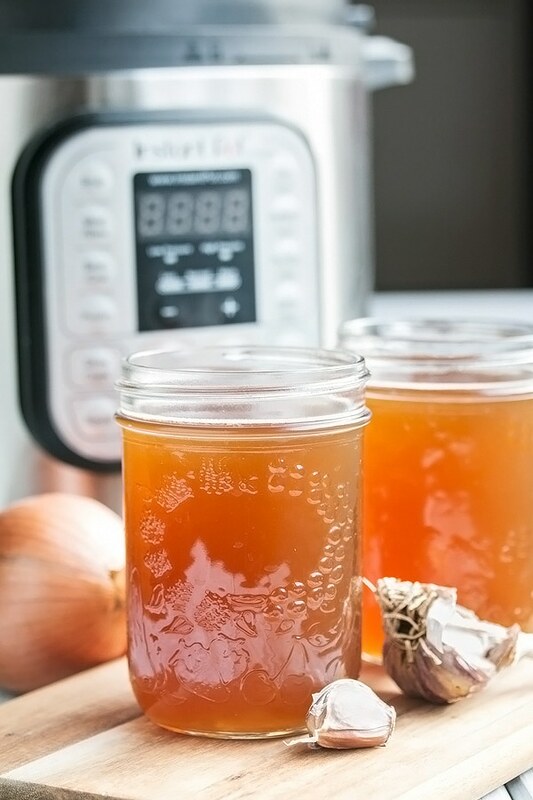 The bone broth can be drank on its own for a healthy gut drink, or used as a base in soups like our wonton soup (which is amazing) or creamy mushroom soup or any others you like. 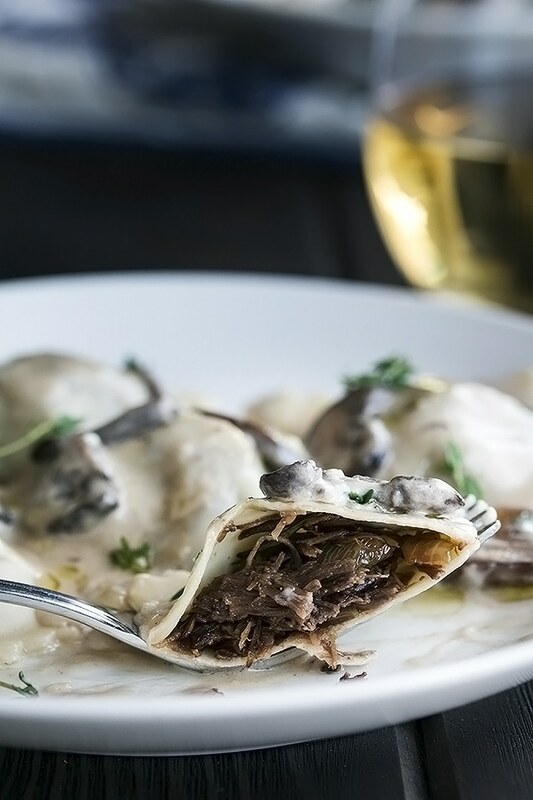 Now I realize that ravioli with cream sauce isn’t healthy, but we’ve included it here because it includes the method for making short ribs in the instant pot and once you have those, you can serve them over mashed potatoes or mashed cauliflower, make shredded beef tacos with them, or go ahead and spoil yourself and make these ravioli. They are amazing! 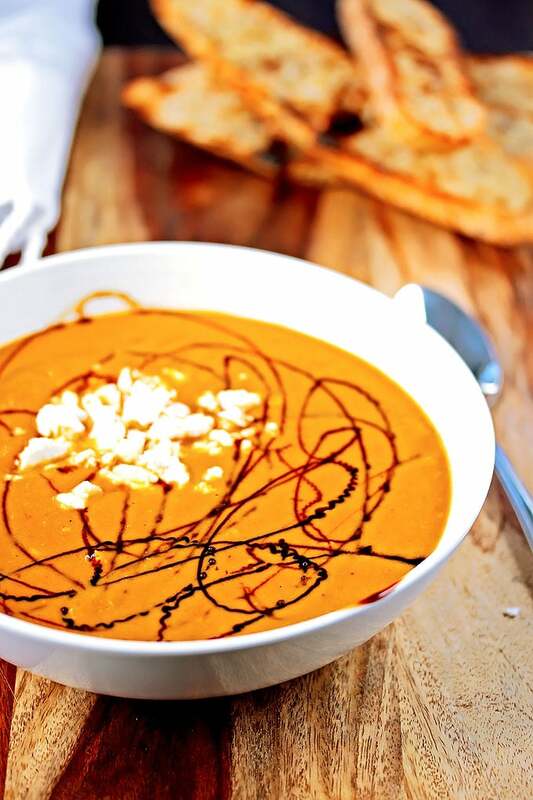 they thoroughly blend or puree everything you ask them to. They can even heat up your soup! 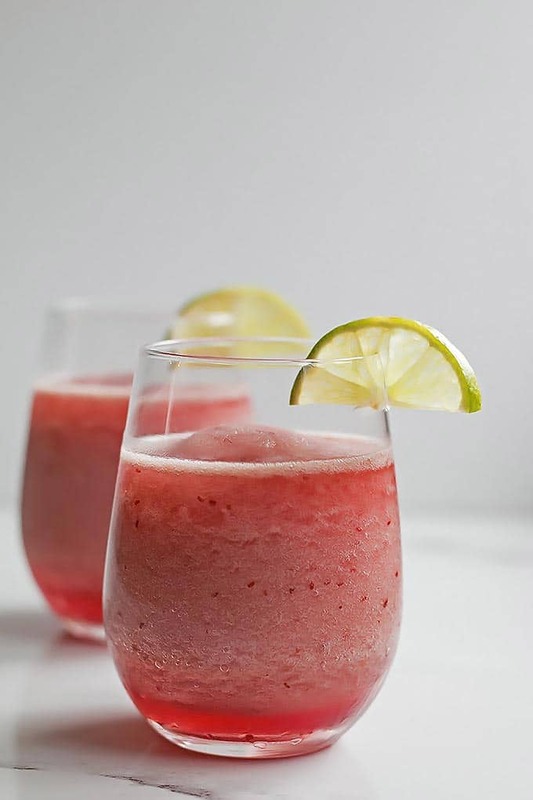 they have enough power to effortlessly turn ice cubes into the frozen cocktails that we love. 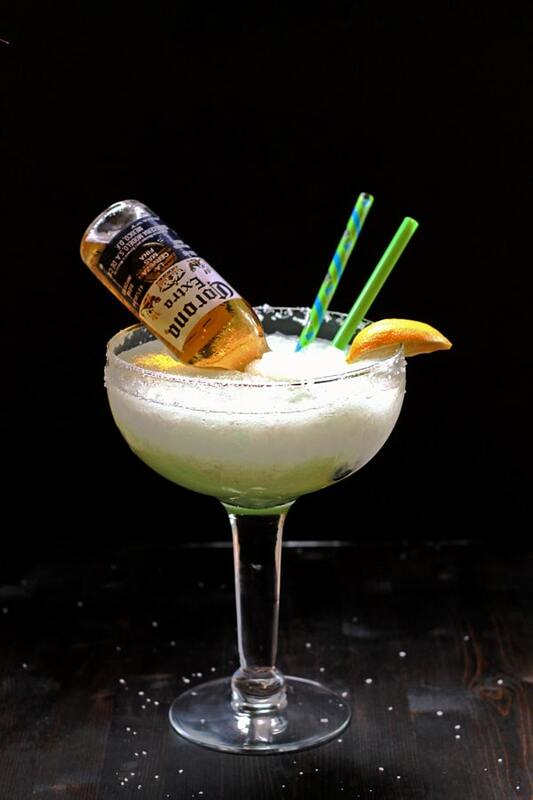 Hello margaritas! they both have enough power to make the actually smooth smoothies! No chunky bits of kale ever. finally, they are easy to clean! That’s important! Blendtec. I’ve used both extensively and I don’t find there to be much difference in quality or power. 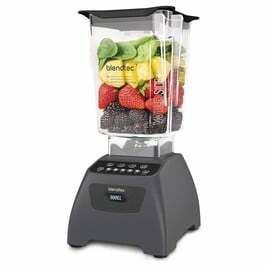 I bought my Blendtec because it was a tiny bit cheaper than the Vitamix, and Debbie got a great deal on her Vitamix. 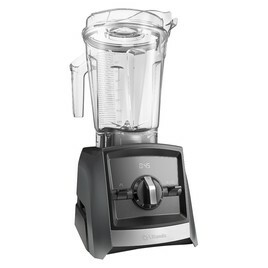 There are a ton of comparison posts out there so I won’t go into those details, just google “Blendtec vs Vitamix”. 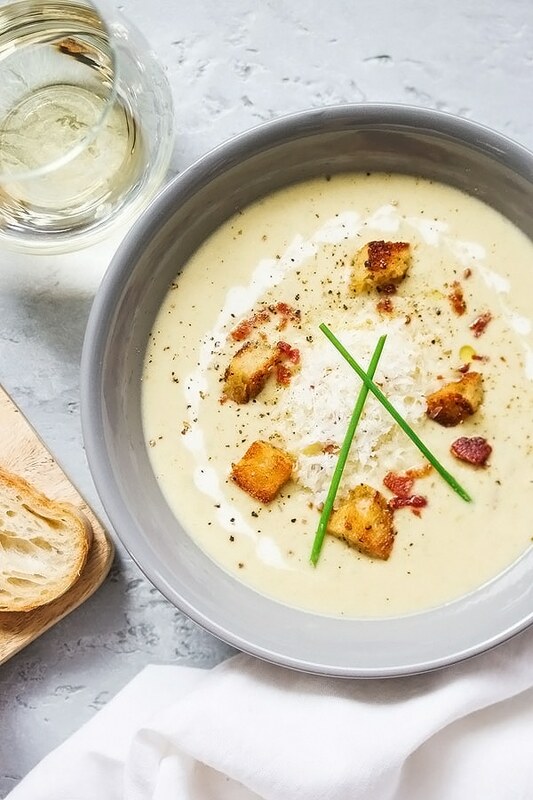 These three delicious soups all get purred at the end and a high powered blender is the only way to get a silky smooth soup! Incorporate these soups into your healthy eating plan this year as they are packed full of veggies and they taste amazing! 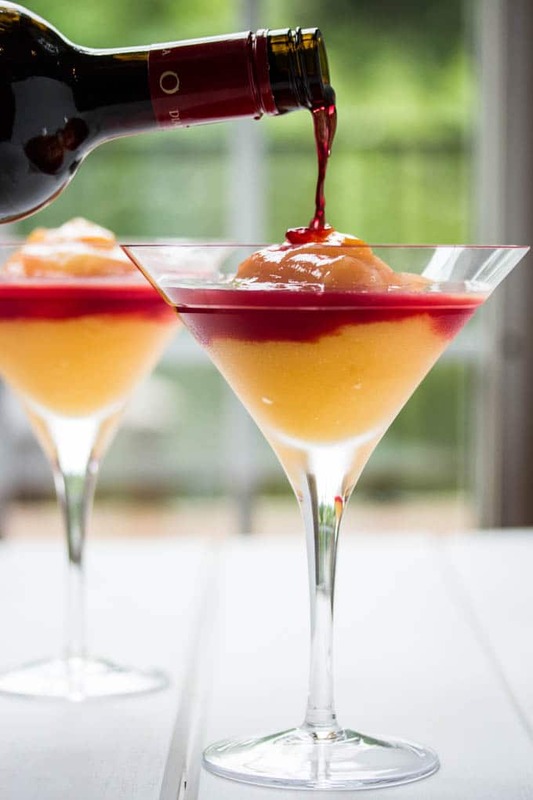 Now these cocktail recipes aren’t exactly healthy, however we would argue that you also need some fun in your life for your emotional health. Holistically speaking… yes? they are coated with a chemical called polytetrafluoroethylene (PTFE), commonly known as Teflon, which is what creates the non stick layer. Even though some say it is “safe”, it does leach into your food as you cook. PTFE has been linked to numerous health issues such as thyroid disorders, chronic kidney disease, infertility, liver disease and testicular cancer. this non-stick coating gets scratched off after a relatively short period of time. These pans don’t last. Luckily there are some fabulous alternatives. They may cost a little more (some don’t) than these cheaper non stick pans, but they will last you a lifetime and if they are properly cared for, you can pass them on to your kids. Not only that, but these pans are non-stick too if you use them properly and that is really easy to do. they create the best sear on meat! They make the crispiest potatoes or anything else that you want a nice crust on. This is why all restaurants use stainless steel pans! when used properly, your food won’t stick to the pans. 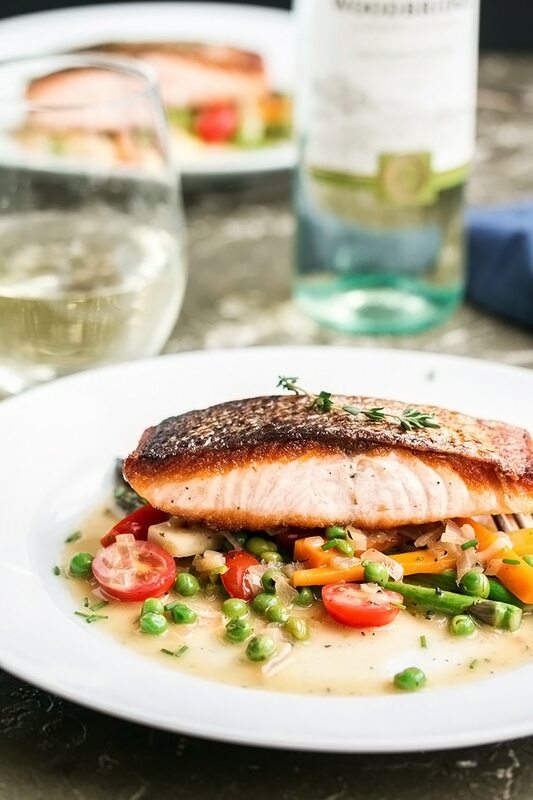 The trick is to preheat your pan around med/low heat, add your oil, then add your food. Eggs will slide right out of the pan! they don’t leach toxic chemicals into your food. if cared for they will last forever! This set of skillets are the pans that Debbie and I have. They are made by All-Clad and they are fabulous. You get a bit of a deal when you buy the two as a set. We love them and they are well worth the money. 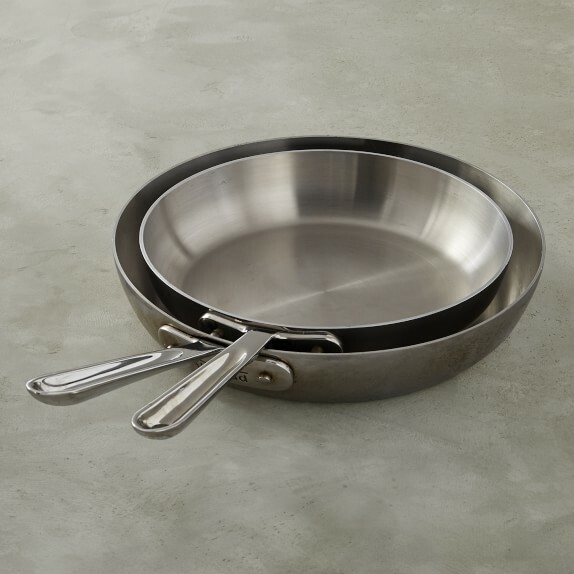 This link will take you to Williams Sonoma where we bought our pans and where they are often on sale! 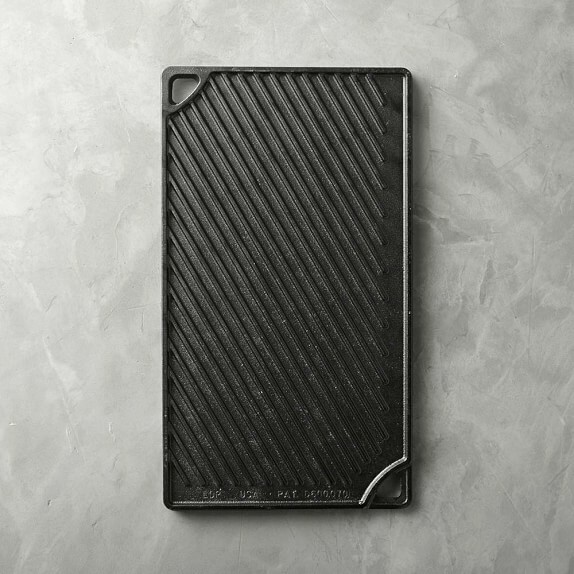 If you want to start with one pan and slowly add to the collection over time, start with this one. It comes in a 10″ or 12″ size with a lid. 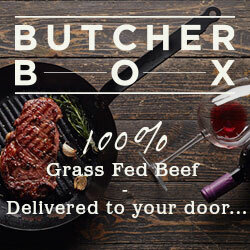 It will be your workhorse in the kitchen! Debbie has one of these and its next on my list. 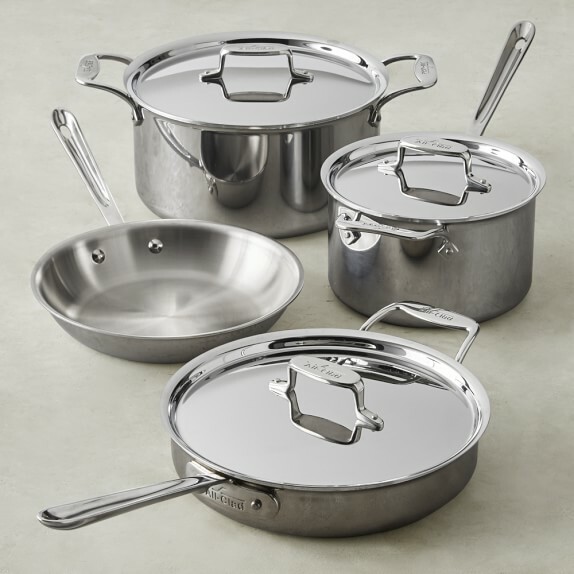 If you are ready to ditch all of your non stick toxic pots and pans, this set is a great start to replace them. You can pretty much do everything with these 4 pots and pans. Trust us, you will never look back! This set is VERY reasonably priced and is often also on sale at Williams Sonoma. 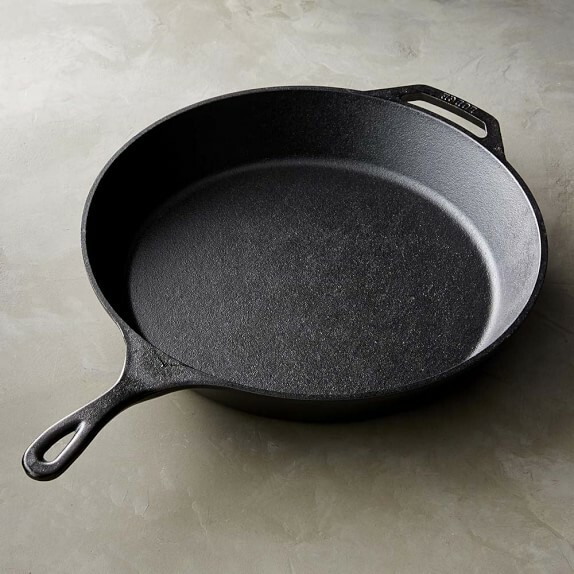 when seasoned, cast iron pans have a naturally non-stick surface. heats evenly and retains its heat really well. they give food a special rustic flavor that so many people love! you can use them on a campfire or on a bbq! Great for cooking when camping. they will last forever. And even if they haven’t been well looked after, they can be easily re-seasoned and become as good as new. Debbie and I LOVE our cast iron pans. We each have a set for camping as well as for our homes. They are easy to clean and cook with. This is the skillet that we use most often. It also comes in a smaller size which is nice too. This set of pans will be all the cast iron skillets you will ever need! Plus you could leave one in the trailer and keep two in the house, or the other way around. This is a great price for these skillets. You definitely save money when you buy them together! they don’t impart any flavor into food like regular cast iron. 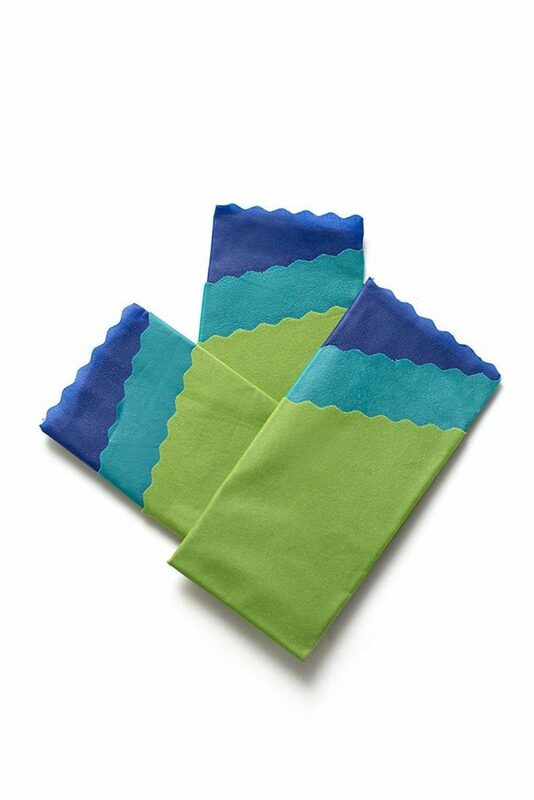 they come in fabulous colors that you can coordinate with your kitchens decor! 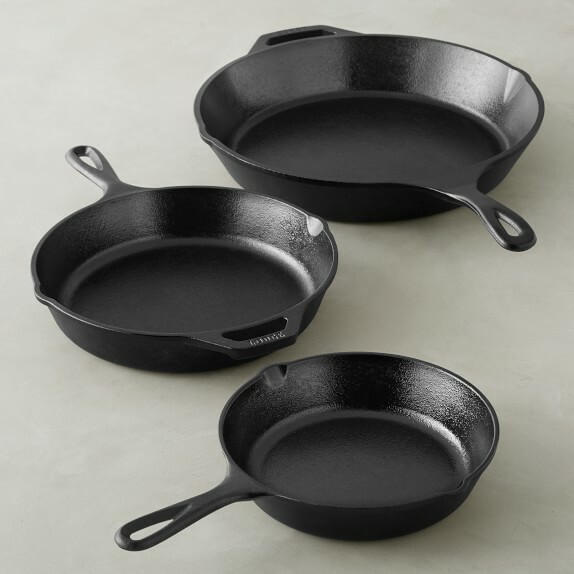 There are three brands of enameled cast iron that we recommend. 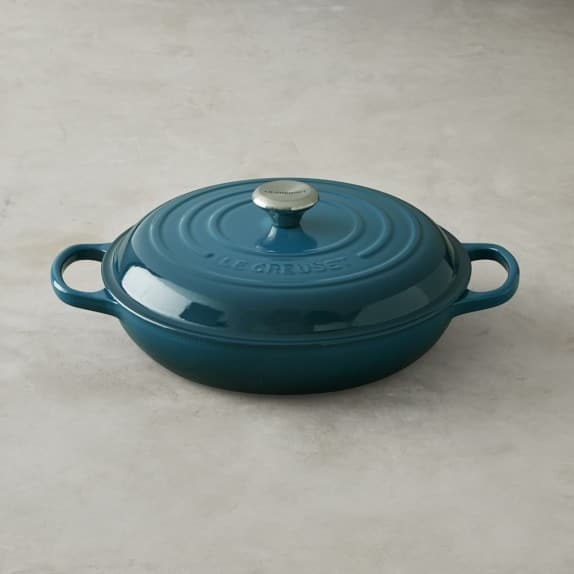 Le Creuset is the most well known brand, Staub is another quality brand, and finally Lodge makes some enameled cast iron too. 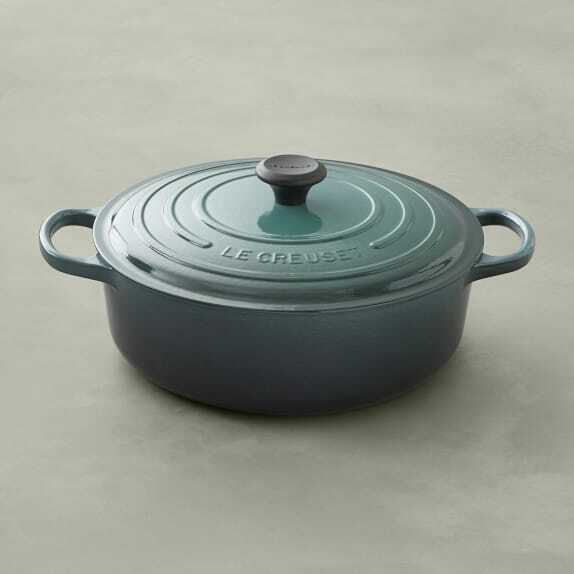 Lodge is definitely less expensive than the other two, but Le Creuset cookware is regarded as the cream of the crop! This Braiser is AWESOME! I got mine as a wedding gift and I use it ALL the time. I use it especially for making my husbands favorite breakfast hash, braised chicken, and all kinds of pasta dishes. And look at that colour! This Dutch Oven is equally amazing. I have a smaller version, but I will be investing in a larger one when I can. 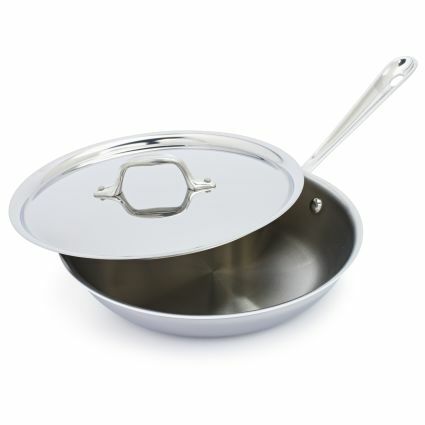 This one is perfect for soups and roasting a chicken or anything you need to cook low and slow with a lid. 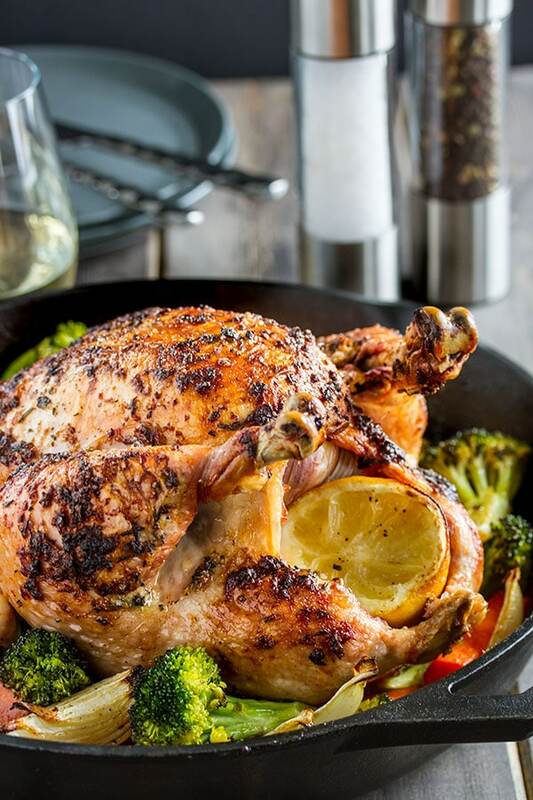 These are some of our favorite healthy recipes that we use our stainless steel or cast iron pans for. Always. One of the reasons that people go for non-stick pans is that they are very easy to clean. However, with a little know-how, stainless steel, cast iron, and enameled cast iron is super easy to clean too. bar keepers friend: a very mild abrasive cleaner that will get even baked on oil stains off quite easily. Its AWESOME! add water to your pan and a couple teaspoons of baking soda to your pan and put it on the stove. Heat the pan so the water starts to simmer and let it simmer for 5 – 10 mins. When cooled, the stubborn bits will come right off. This tip is all about how we store our healthy food for leftovers or for lunches. We want to encourage you to ditch the crappy plastic containers, ziplock bags, and plastic wrap as much as possible, and invest in a few reusable tools that will help keep both you and our planet healthy! Our planet is fighting a war against plastic. It’s a battle that we all have to fight and we do each day, mostly unconsciously, by the choices that we make. Switching to glass or silicone containers that will last forever is a huge win for both the planet and for you. Here are a few items Debbie and I use that make it easy to ditch that plastic. These glass storage containers are awesome! The initial investment is basically the same, or a tiny bit more than a set of rubbermaid plastic containers, but they will last forever, you can use them much more safely in the microwave, they’re dishwasher safe and won’t leak! They are also stack-able for easy storage. Replace your ziplock bags with these silicone bags which are much more sturdy than ziplock. You can freeze them, microwave them, and clean them in the dishwasher! Plus they are about the price of 5 boxes of ziplock bags. So they pay for themselves in a very short time! These silicone lids can help replace plastic wrap. 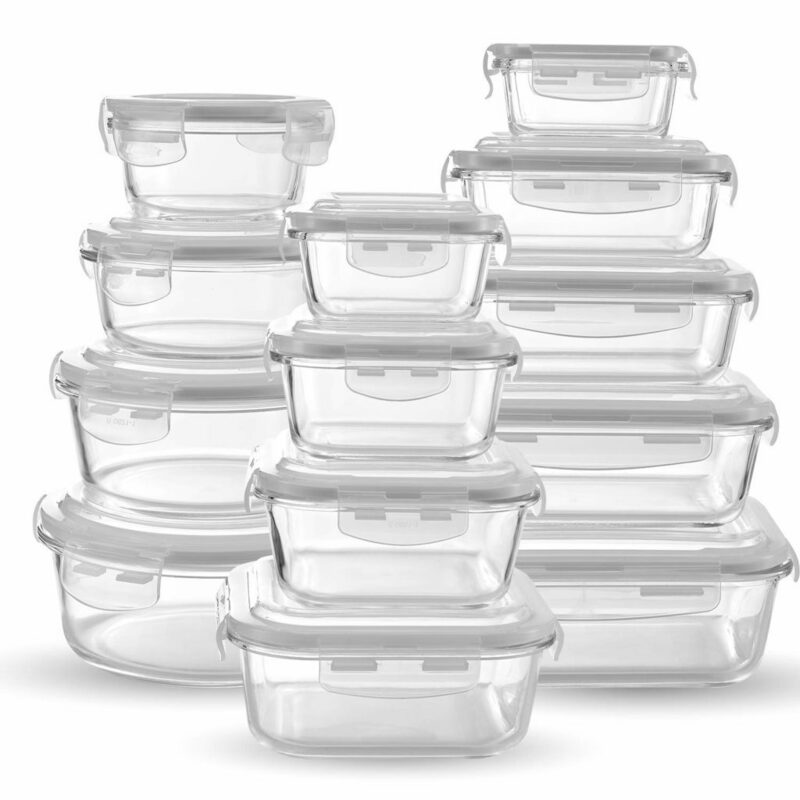 They come with a set of different sizes so they fit any size of container you need to cover. They seal nicely, are dishwasher and microwave safe, you can even use them as a lid in the oven up to 450 degrees! These beeswax wraps are amazing. We have a bunch of these as they are great for wrapping anything you don’t want to put in a container to store. They are AWESOME for a half an avocado or cheese! And there you have it! We hope we have convinced you to try a few of these items and make some healthy choices in your life. We can all do better, Debbie and I included. And having the right tools makes it so much easier!